The Boeing 777X Is Innovating the Way We Travel and Is Creating American Jobs Along the Way. 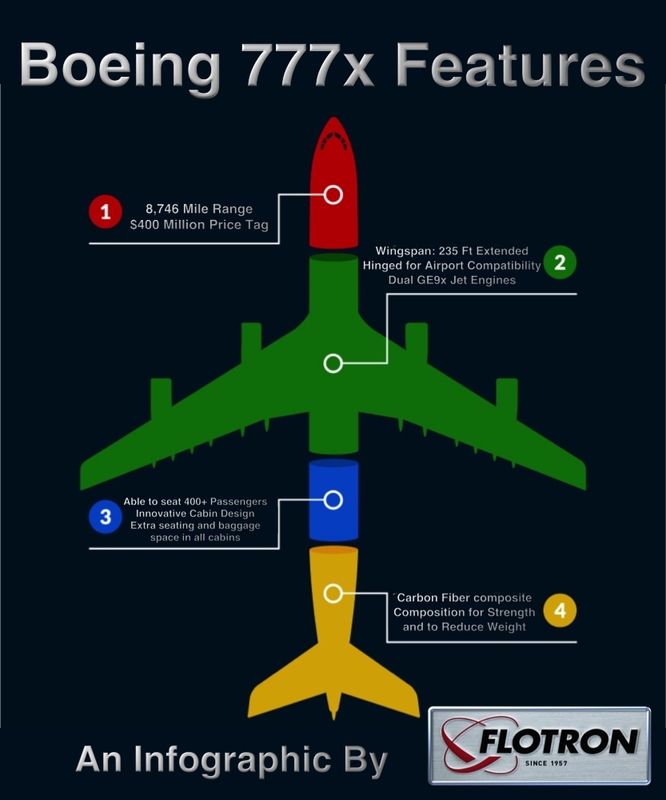 The success of the Boeing 777 has prompted Boeing to expand on this line with the addition of the 777X. This line will include the 777-8X and 777-9X. In August Boeing announced the 777-9X – Capable of seating up to 400 passengers, the Boeing 777-9x will offer passengers extra room and more space for carry-ons, as well as 15% larger windows, new lighting and enhanced architecture. It’s GE9x jet engines are both fuel efficient and incredibly powerful. Fuel efficiency will also be improved with the extra-large wingspan. The wingspan is so large that the wings will actually have hinges for taxiing. When fully expanded they will span an incredible 235 feet. Fuel Efficiency is further improved with lighter materials. The use of carbon fiber composite in the body and wings, make this airliner as unencumbered as possible. Boeing has already received hundreds of orders for the 777-9X, and production will begin early next year. Wing and tail portions of the aircraft will be manufactured in St Louis, MO. That alone is expected to generate around 700 new jobs in the area.